“We’re just Christian people who want to see babies’ lives saved and moms protected,” Tara said. Part 2 of 3 of this video series that was presented to New Mexico legislators by Fr. Stephen Imbarrato on January 26, 2016 gives a glimpse into the dangers posed to young women obtaining abortions in New Mexico. It is commonplace in New Mexico to talk with minors who come to Albuquerque for abortions because their state requires either parental notification or consent. In fact, as you will hear New Mexico Reproductive Health Clinics pose a serious danger to ALL of the unsuspecting women who walk through their doors. New Mexico is currently one of 17 states that has medicaid funded abortions using state tax dollars. Part 2 delves into tax funding of abortions in New Mexico and the shocking revelation of how much Late-Term abortions cost the taxpayers…$8,000-$16,000 the price for a baby’s life! This segment wraps up with a brief look into the reality that the University of New Mexico, a publicly funded institution, is deeply entrenched in the abortion industry and their Center for Reproductive Health equally poses a danger to the general public. You will hear a horrifying recording of a woman who at one point during her abortion stopped breathing and is unresponsive, and in the next minute is moaning and seemingly fighting for her life. Did this woman whose skin tone was gray during the 911 call die? This 3 part series pulls back the curtain and allows you to hear these workers in their own words without us interjecting our opinions. The videos speak for themselves. You can decide for yourself about the legitimacy of New Mexico’s Reproductive Health Clinics. 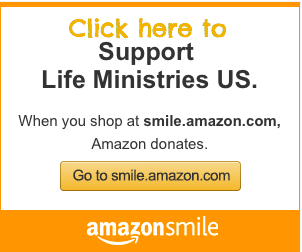 Life Ministries NM lead by Fr. Stephen Imbarrato with Priests for Life debuted this presentation at the State Capital in Santa Fe, New Mexico to legislators with the hope that principled politicians will sponsor and pass uncompromised legislation. Click here to contact your representative. Call them and also be sure to email them a link to this video for them to see and hear the truth about New Mexico’s Reproductive Health Clinics for themselves. As the first legislative session of 2016 kicked off here in New Mexico, Fr. Stephen Imbarrato felt the need to hand deliver the compilation of over 5 years of research into New Mexico’s Reproductive Health Clinics to New Mexico legislators. 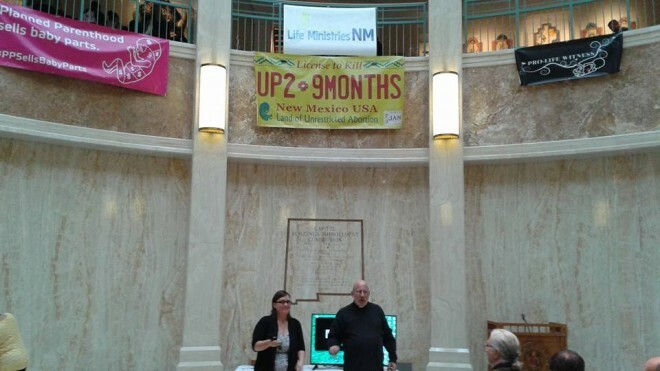 We are told that if we want our representatives to introduce and pass uncompromising legislation that we need to go to them, so that’s what Life Ministries NM did yesterday. 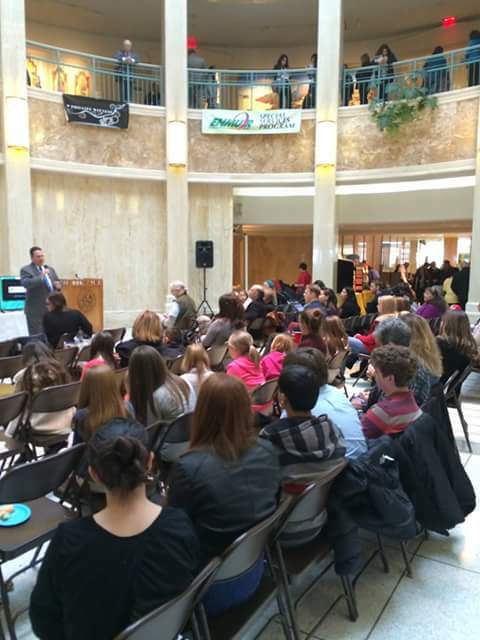 A good crowd joined us and filled the Rotunda of the State Capital, Tuesday January 26th as we released the entire 45 minute investigative video exposing the abortion industry in NM. We are breaking it up into a 3 Part Series. This segment of videos blows the lid off of Albuquerque’s late term abortion facility, Southwestern Women’s Options (SWO). The fact that it is considered by the abortion lobby to be a Reproductive Health Clinic is disturbing since as you will see, they only provide abortions. They don’t do well women exams, STD testing or even have the ability to detect a potentially life threatening ectopic pregnancy. SWO is also caught showing how professional their health services are to women in footage obtained by Live Action when they send late term abortion patients to local hotels. Does healthcare really consist of instructing women to unlock their hotel door until the abortionist arrives and in the meantime push your dead baby into the toilet? New Mexico is one of very few places in the world that allows abortions after 24 weeks, SWO abortionist Carmen Landau is caught on video bragging “women come from all across the country and the world to this clinic” to obtain late-term abortions. The segment ends with (only a few of the) 911 calls we obtained documenting women being transported to local hospitals after suffering horrific injuries from SWO. After viewing Part 1 of this series how can we not expect and demand that New Mexico legislators pass laws that would protect the women and children of New Mexico…and those coming from all across the world? Fr. 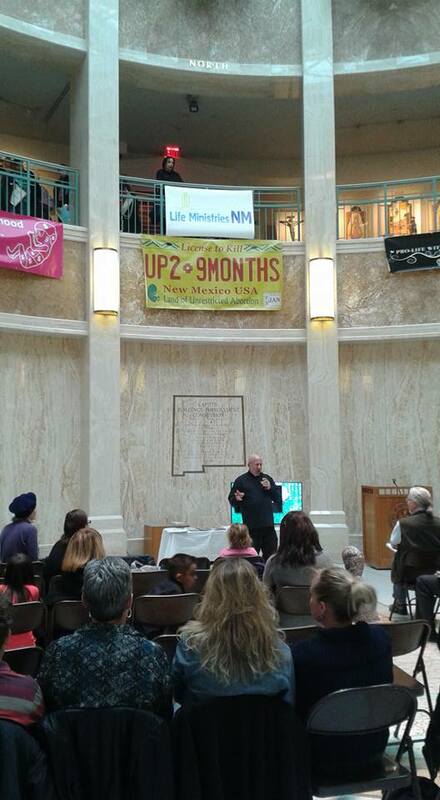 Stephen Imbarrato the Protest Priest with Priests for Life launches Life Ministries NM at the New Mexico State Roundhouse in Santa Fe! 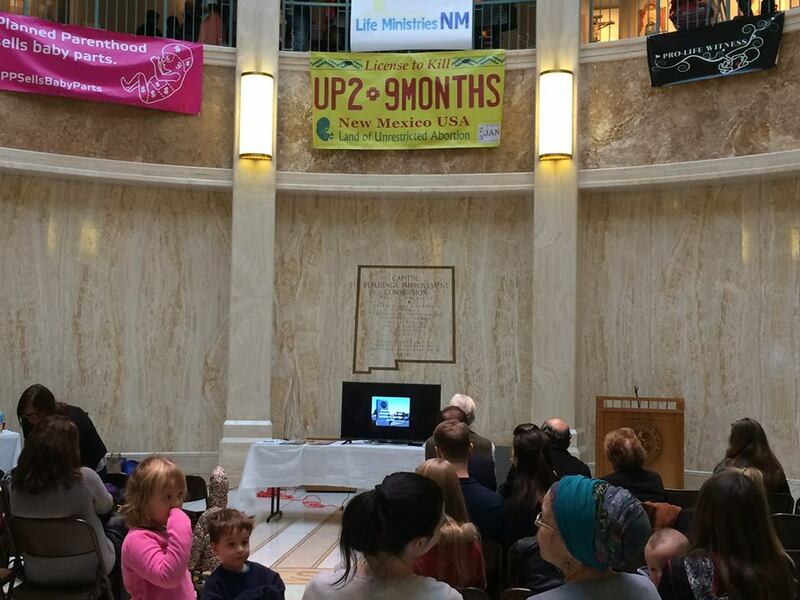 Good crowd (around 100) to watch the 45 minute investigative video exposing the abortion industry in NM. Fr. Stephen Imbarrato and Tara Shaver Senior Policy Advisor for Protest ABQ and Life Ministries NM introduce our 5 years of investigative research into New Mexico Reproductive Health Clinics. State Senator Craig Brandt addressing the crowd at the Roundhouse. The good Senator is a pastor and closed our presentation in prayer.